Our offices are easy to access, and offer validated free parking. 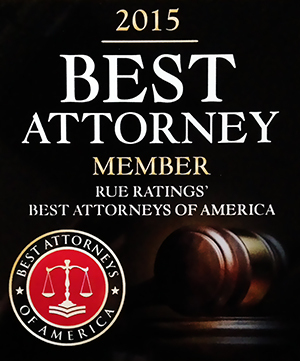 Our attorneys and staff are warm, caring and compassionate. You need not be anxious or stressed about your upcoming visit to us — or our visit to you at your home, office or hospital room. We will immediately put you at ease. We just want to hear your story about your recent accident or injury to see if we will be able to help you seek the medical care you need and the financial compensation you deserve. That said, in order to make a determination about your potential claim, we will need to ask you some basic questions about what happened. Please watch our short video and then read over the same questions put forth in the video that are printed immediately underneath the video. We also have a PDF form should you choose to print it out. VIDEO TRANSCRIPT – Your initial consultation with a personal injury attorney can be exhausting. You can help the process by answering the following questions before you meet with your attorney. First, what type of accident occurred? What is the extent of your injuries? Have you seen a doctor? If so, bring along a copy of your medical files and bills. Have you already filed any claims? Have you filed a police report? Were there any witnesses to the injuries? If so, do you have their contact information? Do you have insurance that covers you for the types of injuries you sustained? You may not yet know, but are you aware of whether any other involved parties have insurance that covers this type of accident? Answering these questions may result in embarrassing admissions, but don’t worry, anything you tell your attorney is confidential, so make sure you disclose all matters even remotely related to your case. What type of accident occurred? If so, bring along a copy of your medical files and bills. Have you already filed any claims? Were there any witnesses to the injuries? Do you have insurance that covers you for the types of injuries you sustained? Do any other involved parties have insurance that covers this type of accident?